2D Laser Pack provides you with a pack of highly configurable 2D lasers. Choose either the LineRenderer or Sprite-based laser and configure them to suit your game style. With more than 12 x properties to configure on each laser type, you can customise your laser looks, shape, and effects. Whether you are building a platformer, shmup, puzzle game, or otherwise, 2D Laser Pack is will help you get your game off the ground quicker. The pack includes sprite and line renderer based lasers, with samples of each included. Lots of options are at hand in the custom component editors to help you choose and model the look of your lasers. Damage events fire at customisable intervals so you can easily integrate the system with your game entities. Customisable lasers. More than 12 properties per laser type to tweak. Integrated damage events. Laser hit effects and damage events to hook up to your game entities for when lasers should damage them. 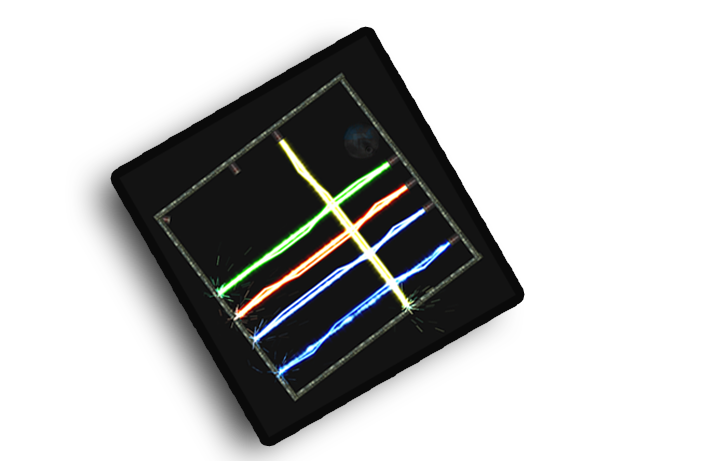 Sprite and line renderer based laser components. Lots of included textures, colours, and laser sprite animations. The 2D Laser Pack asset provides you with a pack of highly configurable 2D lasers. 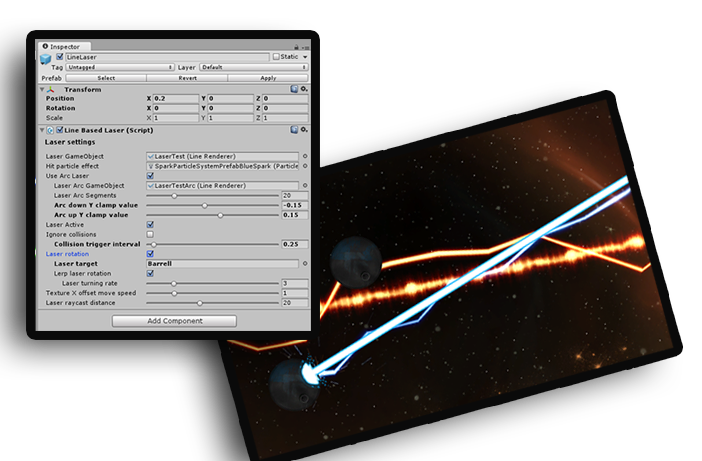 You can customise all aspects of the lasers including looks, special effects (like optional lightning arc, hit spark effects), collision handling, target tracking, rotation speeds, and more. 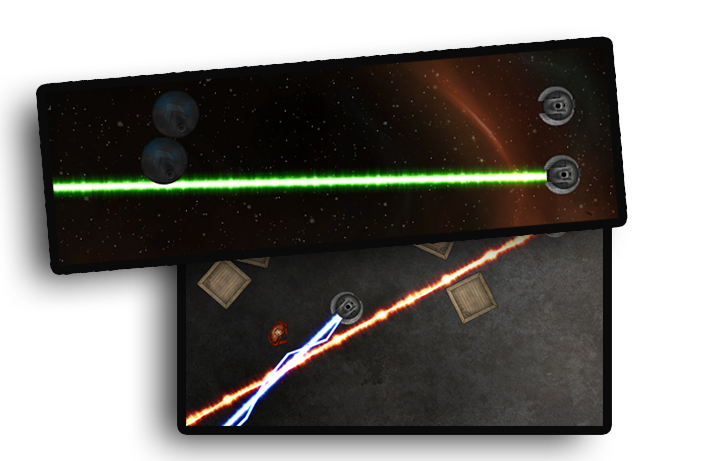 There are 3 x demo scenes that demonstrate different usages of the lasers, and provide on-screen controls to allow real-time manipulation of the lasers.